The long pause was ended with the return of all the dinghies to the yacht club forecourts after the Laser Euros. Great Irish success there was some compensation for being tossed out of the club. Ah well. Sunday saw “Beastie” return to the water. The Milky Bar Kid is laid up due to a lost mastfoot. Doh. Nevertheless Beastie was out there and lined up against Ross Hamilton, who was out training. Pic from his Facebook Page. He’s rather fast, isn’t he. 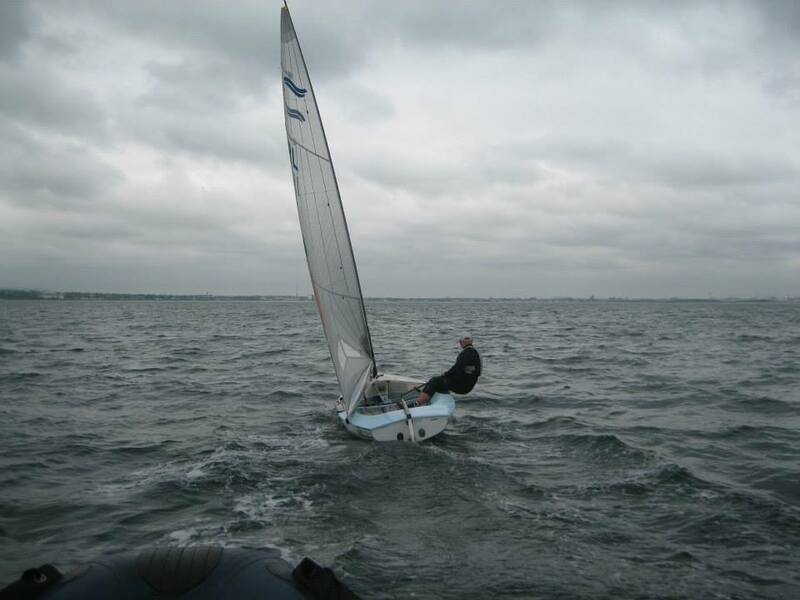 Perhaps we should aim to line up at boats that aren’t (a) faster and (b) being sailed by aspirant Olympians. Hmmm. Modesty, and all that. Despite a soft mast and mismatched sail, the gulf in class was obvious. On the positive side the weather was AMAZING. Sun. Warm. Breeze. The waves were rather choppy rather than being well formed, but that’s really a quibble. Spectacular day.